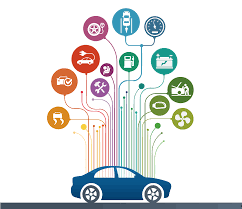 Connected car is an emerging technology which is digitally connected to the network and can interact with the surroundings, including connectivity with different devices, with other cars and also with infrastructure. Connected cars enhance the driving experience by providing advanced safety features, infotainment experience and autonomous driving. In most of the regions advanced connected cars have not yet become mainstream and still experimenting on prototypes. Connected cars in most of the regions are being purchased for the features like maintenance data, Wi-Fi services, enhanced navigation and fuel-efficiency. In Middle-East and Africa penetration of connected car can be seen which accounted for 2.9% in 2016 and estimated to surpass 19% by 2024. Connected cars market is driving on the back of IoT technology and digitization. In Middle-East, gulf countries which are leader in smart cities and smart governments, going to witness huge adoption of IoT technology for the advanced and smart transportation. Saudi-Arabia's, investment in Uber technologies attracted the automotive sector throughout the Middle East. Middle-East and Africa is likely to witness strong growth of automobile market in the region. High disposable income population of gulf countries is one of the major factors driving the growth of automobile industry. New cars entering the market are equipped with infotainment systems and data connectivity systems either through in-built communication module or by tethering of smart devices. Entry of global players has marked the growth of connected car industry in Middle-East market. For instance, Etisalat and Nissan collaborated together for the deployment of connected cars in the region. Growing digitization and adoption of advanced technologies like IoT bolstered the growth of connected cars market. In addition, more than 30 million of cars equipped with infotainment and data connectivity solutions, expected to manufacture globally by 2022. By 2021, more than 3 million cars will be manufactured in Middle-East and Africa. Rising personal disposable income of people, especially in UAE is expected to witness huge growth in automobile industry. UAE dominates the Middle-East region in adoption of advanced technology and smart services. In Middle-East, gulf cooperation council (GCC) countries, leads the adoption of smart technologies and smart government. Implementation of driverless cars, powered by solar energy at Masdar city in Abu Dhabi is one of the examples of penetration of connected cars and autonomous cars in the Middle-East region. Entry of major players like Nissan with its flagship models, Nissan maxima and Nissan Patrol to provide remote control access to various features. Middle-East & Africa are the untapped market for connected cars providing vast opportunities for the connected cars market growth. However, threat to data breach and privacy are the major challenges for the market players. White-Hat attack on jeep cherokee and recall of 1.4 million Fiat Chrysler in U.S after discovering that car can be disabled remotely after hacking into internet connected entertainment system. These are of few examples that show the vulnerability of these systems to cyber attack. Moreover, acceptance of new technology is also the major challenge for market players in Middle-East and Africa region. Only about 6% of Middle-East population have access to smart technologies, and increase in expenditures over services related to connected cars are some of the other challenges that can hinders the market growth in Middle-East and Africa regions. Additionally, geopolitical reasons and macro economic factors like unstable government and terrorism are some of the major restraints of connected cars market growth in Middle East & Africa. The Middle-East and Africa connected cars market accounted for USD 0.935 billion in 2016 and expected to reach USD 8.6 billion by the end of forecast year i.e. 2024. Further the market is anticipated to expand at compound annual growth rate of 31.5% over the forecast period i.e. 2016-2024. Gulf countries regions like Saudi Arabia, U.A.E, Kuwait and Qatar is expected to witness major growth in connected cars market and will dominate the market in Middle-East & Africa region. Even the regional landscape for connected cars has been very active in recent and few car brands have already launched smarter cars in the UAE. For instance, Ford launched its cars featured with MyFord Touch Technology. Such new technologies are expected to drive the growth of connected car market in Middle East & Africa.